"The Suze Orman Show" is ending on CNBC, and its host has her sights set on a new television home. Orman is developing a new show called "Money Wars" with Telepictures, a production company that specializes in syndicated shows like "Ellen" and "TMZ on TV." Telepictures says the new show will have a five-day-a-week format, with Orman settling financial arguments between family members and friends -- a bit like a "People's Court" (also a Telepictures show) for money. Telepictures is a unit of the Warner Bros studio, which is owned by Time Warner, which also owns CNN. It's unclear whether Telepictures wants to steer the new show toward local TV stations or a cable channel. Nor is it known when "Money Wars" might premiere. But Orman's CNBC show will wrap up next March, the business channel's president Mark Hoffman said in an internal memo on Tuesday. 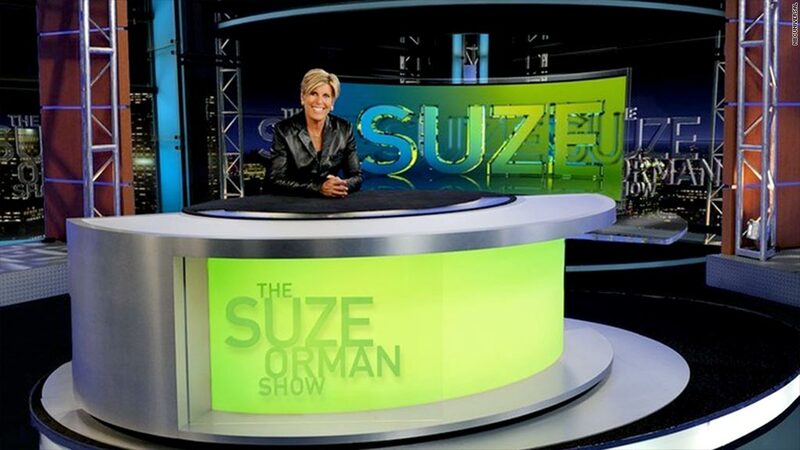 "The Suze Orman Show" has been a mainstay of CNBC's schedule since 2002. It's currently the channel's highest-rated show on Saturdays, drawing about 250,000 viewers at 9 p.m. Eastern. With regular appearances on NBC's "Today" show and elsewhere, Orman has a high profile that exceeds just her CNBC audience. Hoffman called her "a preeminent advocate for financial independence, teaching viewers the importance of personal empowerment when it comes to money." That's partly what "Money Wars" will be about: Telepictures said Orman "will use her signature ability to settle these disputes and help the opposing parties resolve their issues while starting them on the road to financial responsibility."